With monsoon setting in, any mosquito-related disease will rise drastically because mosquito breeding goes up. Recently reported an emerging of a dangerous form of Malaria parasite that cannot be killed, otherwise named “super malaria” made it more dangerous and now spread rapidly in Southeast Asia and this is an alarming threat globally. You should have taken all possible precautionary measures to prevent or reduce your risk of infections. Dispose of old tires, buckets, ceramic pots and other containers on your property that collect rainwater or pool morning dew. At least once per week, empty standing water from decorative containers, including bird feeders, on your property. Store boats covered or upside down or drain rainwater inside them weekly. Fill in low areas on your property to eliminate standing water. Ponds or streams where fish are present or the water is disturbed by current or wave action and do not produce many mosquitoes. However, standing water is more of a breeding area. So, if you have mosquitoes, the standing water in your backyard has got to go. This will be the start of your anti-mosquito campaign! 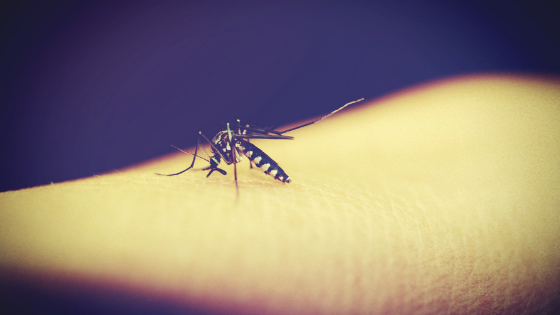 We understand that it is important for you to go out and enjoy your life in general but, if you are surrounded by mosquitoes in the monsoon season, it could be irritating for most people to stay outside. You should consider limiting your outside activities, and you should consider going out at a particular time. You should try staying indoors to avoid a physical contact with mosquitoes. During the monsoon season, you are always surrounded by mosquitoes, and if you are concerned about them biting you at night, you can invest in a bed net. Bed nets are considered to be optimal in the monsoon month, and these prove beneficial in protecting you from maintaining a contact with mosquitoes. You can sleep safely under a bed net, knowing that no mosquito would come and give you a monsoon bite on your tender skin. If you have had unpleasant experiences with mosquitos in the past, you can use a mosquito repellent to make sure that the mosquitos do not come in proximity to you. A mosquito repellent is a lotion that you can apply on your body to avoid the mosquitos from interacting with your skin. The lotion is hypoallergenic in nature, and it does not irritate your skin in any sort. If you are repulsed by the idea of monsoon bites on your skin, you can use a coil or an electric mosquito repellent to avoid the mosquitos from contact with your skin in the monsoon season. Employing the use of these pieces will keep them out of your boundary. If the number of mosquitos keeps on cultivating in your proximity, you should contact our pest control specialist team for a free consultation on an immediate basis. It proves vital in mosquito control, and it also reduces the appearance of mosquitos in a regular environment. It would give you a chance to contribute to the cleanliness and maintenance of your ecological environment by keeping it free and clean.